He was born in a small town in the district of Reggio Calabria, where he studied music since he was a kid. The passion for sound quality and parties made him work not only as a DJ but also as a vocalist and PR. 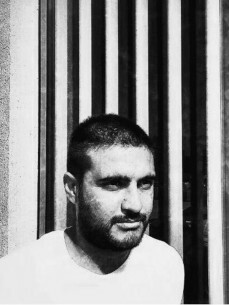 His love for the deep and soulful House brought him to perform in different clubs in Southern Italy and once a month for a local radio station, approaching the world of music production and following more closely the technical and musical selections of myths as Larry Levan, David Mancuso and Frankie Knuckles. He moved to Rome at the young age of 18 and here he continued his “artistic training”, playing in Italy and abroad, including the U.S., UK, Greece, the Netherlands and Spain with many important djs such Louie Vega, Dj Spen, Tony Humphries, Todd Terry, Terry Hunter, Marc Evans and many more. He is not only a DJ but also a producer. In addition to the various bootlegs such as Mary J Blige, Jill Scott, Cheryl Lynn, Gregory Porter, he stood out for some productions and collaborations. A meeting with Dj Spen led him to work for his label, at first co-­‐producing The Muthafunkaz -­ “I Do Love U” (alliwannado) on Code Red Recordings, for long at the head of many house charts and afterwards producing “Overmind”, “Rising Sun” and “Polis” on Quantize Recordings, records that are played regularly and supported by the biggest DJs in the world. As a remixer he has been working for various internationally known labels as Blaze Imprint, Tony Records, and Unquantize and Quantize Recordings.